Caress Love Forever Body Wash: It’s the first body wash ever to use fragrance-release pearls with touch-activated technology. Release a burst of perfume every time you touch your skin—all day long. ATTITUDE 2-in-1 Shampoo: This shampoo and body wash is vegetable based and biodegradable. Plus, it’s formulated to be carcinogen free and hypoallergenic. Vegan, not tested on animals. Laneige BB Cushion: Get 5-in-1 cushion technology that works to brighten, protect, cool and cover your skin while fending off shine. Scunci No-Slip Grip Braided Headwrap: A comfortable, stretchy band with a braided design for stylish, no-slip grip. Degree Women Fresh Energy Dry Spray: This dry spray uses a 48-hour MOTIONSENSE formula that goes on instantly dry for a cleaner feel and better protection. Jergens Wet Skin Moisturizer: Get 24 hours of soft skin with this instant-absorbing formula that gives you twice the moisturizing power in half the time. ATTITUDE Volume & Shine Shampoo: Get healthy, beautiful hair with this volumizing shampoo. It is vegetable based, biodegradable, carcinogen free and hypoallergenic. Vegan, not tested on animals. Revlon Ultimate All-In-One Mascara: This high-impact formula delivers 5 benefits in 1 product: volume, length, definition, lift and rich, intense color. Hada Labo Tokyo Anti-Aging Facial Mask: A lightweight, deeply hydrating mask that drenches skin with serum to boost hydration, smooth fine lines and restore firmness and bounce to your skin. 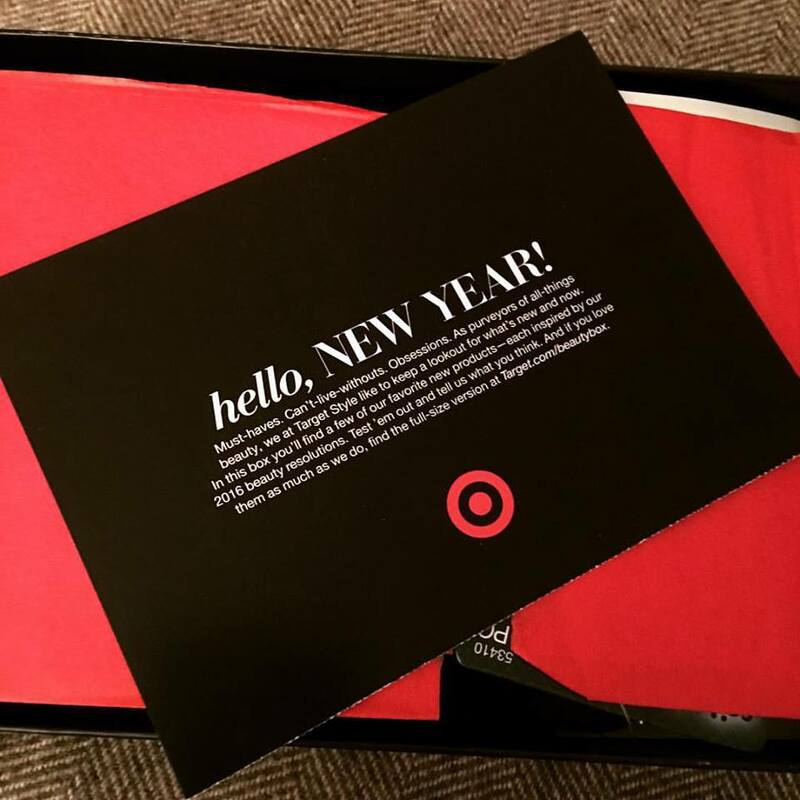 Target has once again out done themselves, the value of this box is huge and not to mention the wide range of products, products that will fit every budget. I love that all of the products are available at my local Target and I pick them up when I fill my prescriptions. If you ask me that is multitasking and a win win. 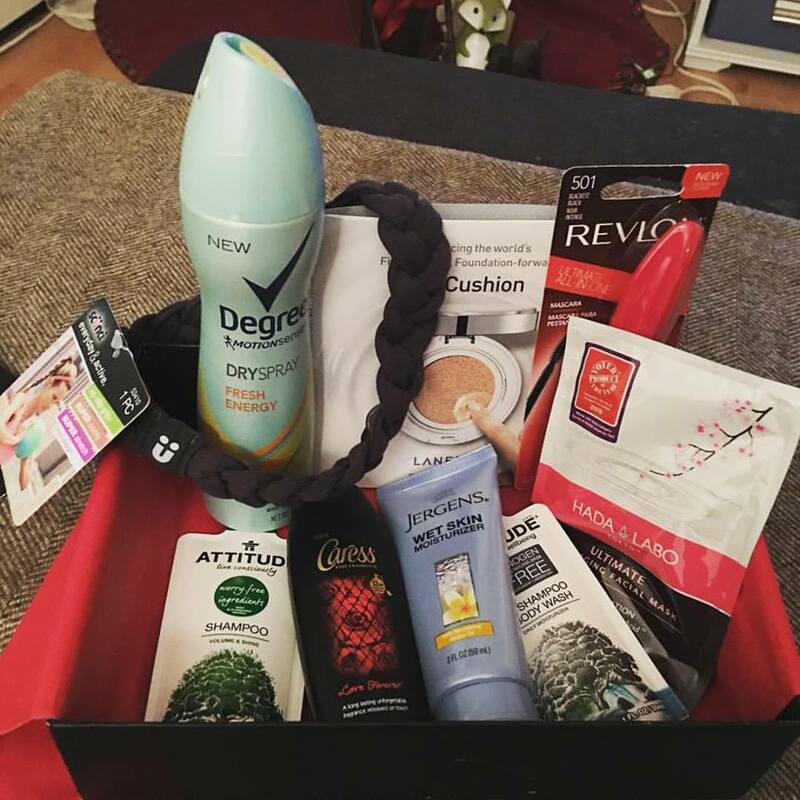 This box will definitely help me start 2016 off on the right beauty foot. 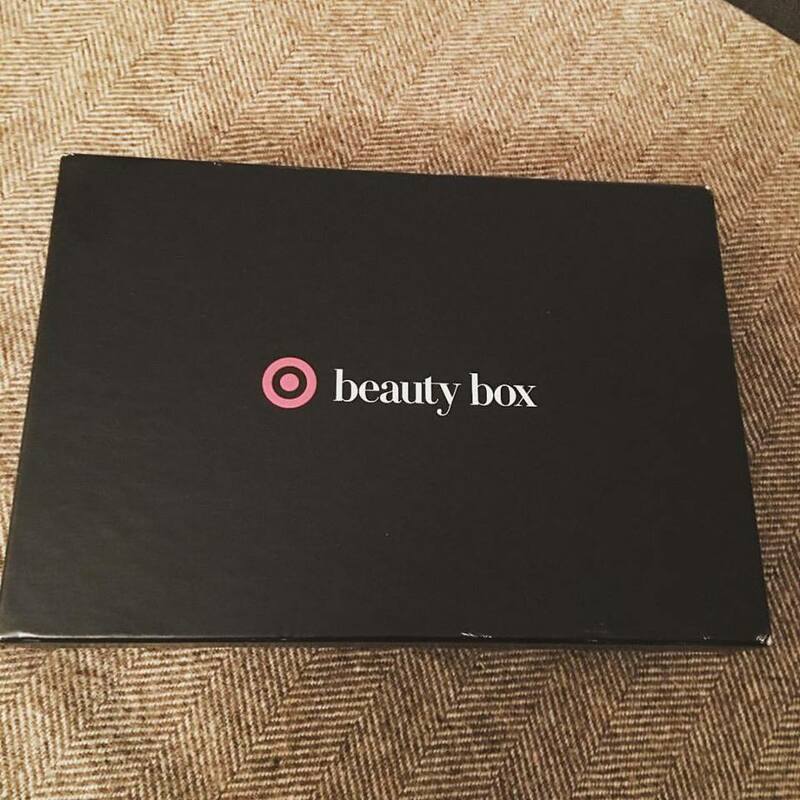 The Target Beauty Box is not a subscription service, they are first come first served, if they are sold out then you my friends are out of luck. I just checked target.com and the October box is out of stock. For $7 this box is a great deal, that is if you can get your hands on one, they always sellout like hotcakes. So don’t sit on the beauty fence when you see them, just throw it in your virtual cart and call it a day!